associated environmental problems. Additionally we are at the beginning of a new era with regard to the utilization of Israel's marine environment, from large-scale seawater desalination and offshore gas production to plans for the construction of artificial islands. In light of these developments it is necessary to examine fresh options for management of the reservoirs of the national water supply system, to enhance the development of new industries based on the use of seawater and saline waters, and to consider novel approaches for multiple-use management of the country's coastal and marine resources. Coping with these challenges requires updated environmental information, new scientific tools and new technologies. Marine and Coastal Environment (Oceanography) - creation and dissemination of knowledge to support the fostering and management of Israel's marine and coastal resources. Lake Kinneret (Limnology) - creation and dissemination of knowledge to support management of Lake Kinneret as a sustainable source of national water supply. 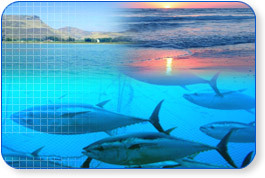 Mariculture and Marine Biotechnology - development and transfer of know-how for Israel's mariculture industry and associated biotech industries. Each of these objectives encompasses a number of core activities.